This is a very stylish watch, although as another review stated, I cannot adjust the 3 dials within the face, can anyone confirm if the top and bottom winders are supposed to work as mine don't appear too. Received the watch. It is lovely but struggling to change the day and date as does not seem to work as per the instructions. Waiting on response from Watchshop to advise. Bought this for my 14 year old daughter wanted a watch that wasnt to big or small for her wrist she loved it couldnt wait to have links taken for that perfect fit. 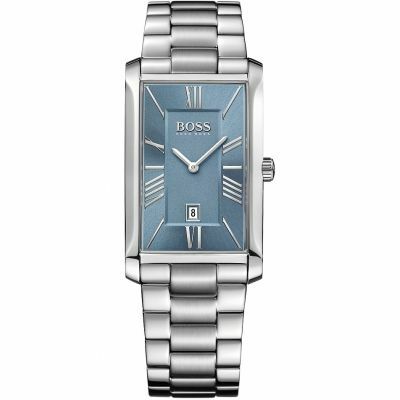 Classy looking watch at a cheap price. My teen daughter loves it. This watch is amazing .the colours alone make this watch stand out .you can tell this watch has style. It is stylish enough to stand out on your wrist. it is a well made strong tough durable watch. The large clock face makes it really easy to tell the time . It is slightly heavy and can be a little cold to wear at first on your wrist but once you get used to it youll appreciate why you bought it. I love the design thats why I chose it. 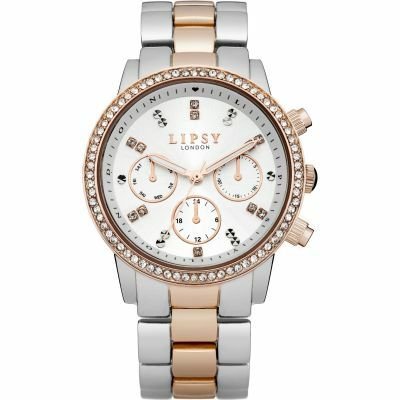 And the reason why I picked a lipsy watch was because three of my friends had lipsy watches bought for Christmas. I was so impressed that I bought one too. And I would definitely recommend them if you want a good quality watch. I am very pleased with the item which I purchased it as a present for the member of my family. It looks very classy and well number display. The price is very good price and I love the colour as well. Classy watch. Elegant looking. Excellent value for money. Nice rose gold and silver belt. Good for both formal and casual wear. I m very happy with the product and happy with the excellent customer service. Lovely watch, looks expensive, great price. Excellent service, very fast delivery and watch exactly as described. 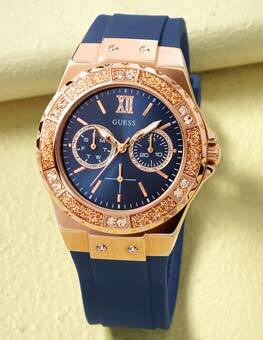 Beautiful watch for fantastic prices. 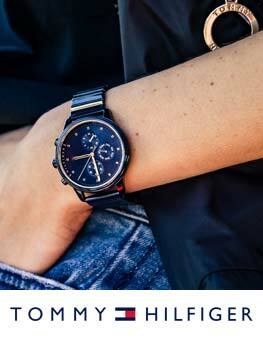 Watchsjop always provides a competitive price for watches. Super happy with purchase . Really nice looking. The rose gold ,is a lovely feminine touch with the chrome. Clear and easy to read at a glance. I dont normally like wearing gold and silver together, but I look the way this watch looks. Lovely watch. Really elegant and sporty at onece. I bought this watch for my wife. I liked it very much as it has combination of colors in dial and belt. So looks become nice because of this. The numbers are in normal size so that anyone can read it easily. The main thing about this watch is look as the women always goes for look first. I purchased 3 watches from watch shop 4 years ago and the watch kept my points as it is. So these points are used during the purchase of this watch. 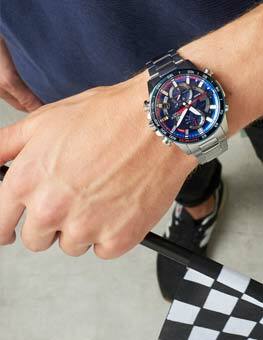 So I recommend others to purchase watches from Watchshop. 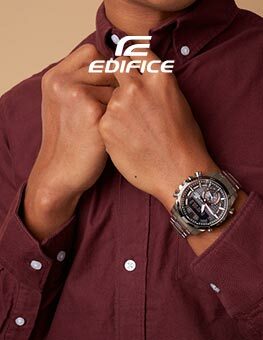 I did lots of researched to purchase the watch and except Watchshop I didnt get any good deal and varieties of watches. Gorgeous watch even better now I have it. Fast delivery, very happy with the service. Would highly recommend. Love it, quality at an excellent price. It was a gift and it was loved by them as well so worth it no doubt. A very ver nice watch, everyone commented on it and said they loved it but after about 2 weeks the silver colouring on the watch started to fade and by about 4 weeks the colouring had rubbed off completely and has left a nasty bronze colour... I would have expected it to last longer than a month! Slightly disappointed with he quality. The service and delivery was professional like and the watch was very well packaged. The only dislike was the written note I paid for, I thought it would have been well presented as supposed to very tinny writing. Fantastic looking watch, but having to send back. I took this watch off to wash my hands and dropped it in the sink. I fished it out immediately, and dried it and placed it on the radiator. However there is water trapped underneath the face. Lovely looking watch. The only set back is the strap isnt long enough. It just about fits my wrist but would like it to be looser. Cant be bothered sending it back to be adjusted. I ordered this watch as an xmas present from my mam , ilove the look andit wad half price which made it even betteronrecieving the watch it has a mark between the 8 and 9 on the face inside the watch on the background i suppose you could say, its likea scuff mark. My watch arrived in plenty of time for christmas and it looked lovley, which i was releaved ab9ut as last xmas i ordered watch and payed extra and did not receive it till after xmas a stokng issue i was told, one point i would mention is the bracelet on the watch is quite tight fit as it came it was too loose bt when ive taken 1 link out its quite a snug fit, which is fine for me as i have a small wrist anyway but it would be worth mentioning on the discription. Stylish and modern while maintaining a classical look, large face makes it easy to use. Lovely watch just what I wanted. Bought by myself as a present from my hubby. Looks expensive but was a real bargain. Handy having links on strap that can be removed for better fit. Its my Christmas present really but I love it so much I cant take it off. 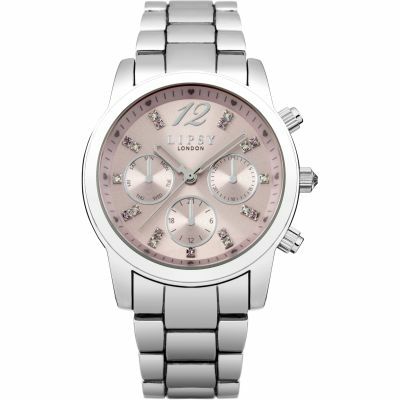 The watch was for my daughter, she has tiny wrists and she wanted a boyfriend style/size watch without sparkle but couldnt find what she was looking for at the right price then, we found the Ladies Lipsy Watch LP130. Able to get the strap re-sized at no extra cost - so now a perfect fit. Nice watch to wear everyday however smart enough to wear going out at night which is what she wanted. All in all a great watch, and I have one very happy daughter. thank you! Very nice watch, was a present for my girlfriend... She was pleased which in turn makes me pleased! Excellent service very prompt delivery, fantastic value for money. The watch was just as it appeared on the web site. I bought this watch for my daughter because I liked the look of it on the website but I have to say it looked even better when I receied it the very next day. I needed a few extra links for it and the customer I received was first class. I am SO impressed with my purchase and with the Watch Shop in general. Thank You! 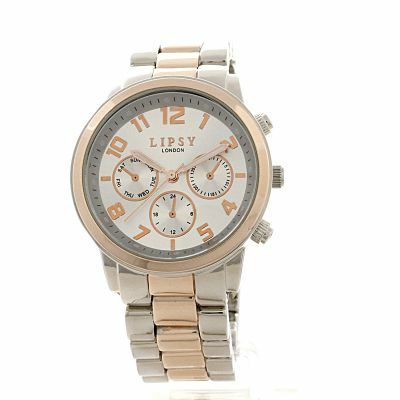 Watch Shop is een geautoriseerde Lipsy verkoper.